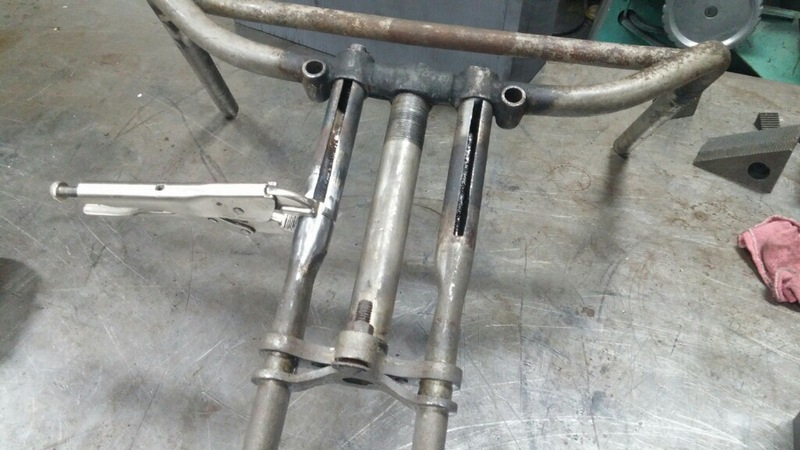 Machining In Process – Tribbey motorcycle tales: 1911 Excelsior Restoration, Cannonball, and Cross Country Chase. As my earlier post revealed, there is some machining required on my front end. A good friend owns Milwaukee Mold Industries and has agreed to tackle this for me. There are a number of machining events that will be taking place over the next few weeks: handlebar work, repairing the broken off top fork tube, machining new lower rocker studs, and machining the lower fork rockers to once again be in tolerance for studs and axle. I’m thrilled this is moving along. Thanks MMI! 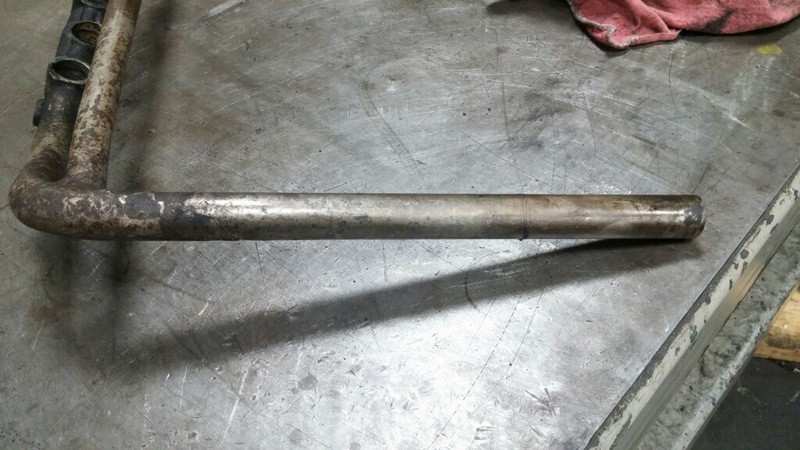 Here is the left bar after MMI was able to remove all of the rusted grip sleeve off. Here is the right sleeve removed that was frozen on. 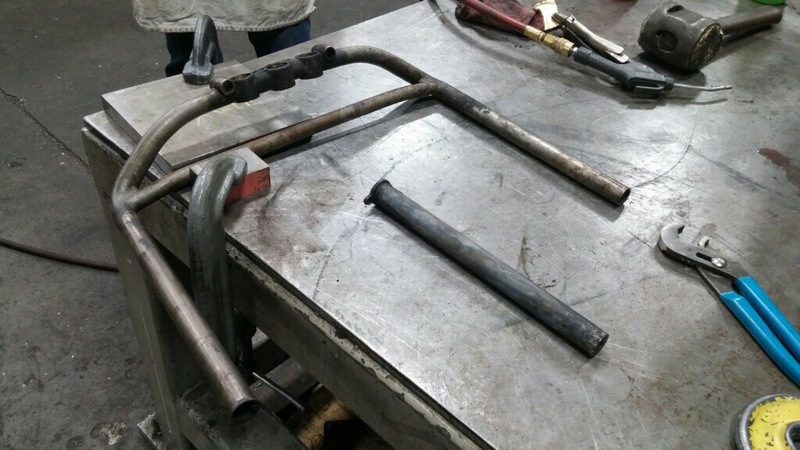 Initial steps to locate the repair on the fork tube.